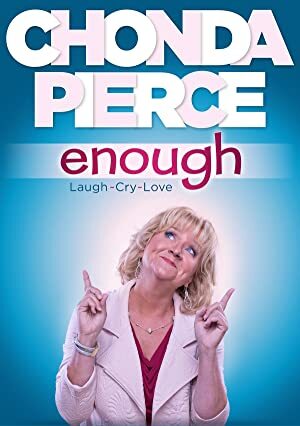 Chonda Pierce: Enough (2017) – What's New on Netflix Canada Today! Stand-up comedian Chonda Pierce, known as the “Queen of Clean”, continues to share her emotional journey and story in this sequel to her 2015 award winning documentary “Chonda Pierce: Laughing In The Dark”. Stand-up comedian Chonda Pierce, known as the "Queen of Clean", continues to share her emotional journey and story in this sequel to her 2015 award winning documentary "Chonda Pierce: Laughing In The Dark".